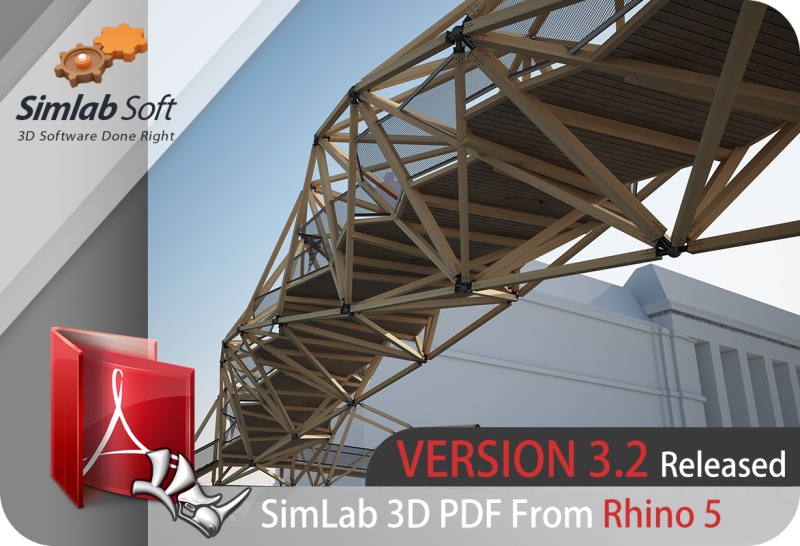 SimLab Soft released version 3.2 of the 3D PDF exporter for Rhino. This new version supports Rhino 5 (32- and 64-bit) and Rhino 4. This is a free upgrade to current users of version 3.x of the plug-in.